Before I get started, I just want to do a shout out to a fellow blogger. I love looking at other blogs for ideas, and inspiration, not to mention wonderful recipes. And I’ve been following Madison for at least 6 months, and I love what she posts. It’s a mixture of fashion, food, great products, and life. She’s really down to earth. She does ‘No Fat Talk’ posts that focus on not talking trash about our bodies (because, ladies, I know it’s really hard not to). Just check her out. She’s at Espresso and Cream. Okay, now that we’re done that, onto other things. So, as I’ve said many a time, life is crazy busy. It doesn’t seem to ever slow down. And I am just barely keeping up. (What am I going to do after baby #2 comes?!) I’ve had multiple great post ideas floating around my head for the past few weeks, and no time to get them written up & posted. Between working part-time, trying to keep up with Cael (who’s full speed ahead, and down to one nap a day), keeping the house together and clean, cooking/baking, trying to find time to help out with church programs, and still have time for friends and family… I’m clean outta time. At the moment though, house doesn’t look too shabby, laundry’s folded (not put away though, mind you), and I have myself a cup of lemon tea. So I’m writing this. And it feels good. To be typing, sharing food and just having some sitting down time. I’ve been reading a book by Lee Strobel called, ‘The Case for the Real Jesus‘. And it’s really great. I think it was written with teens in mind, but it’s a great book for teens and adults, and it’s written in a way for really easy understanding, I’d definitely recommend picking it up to read sometime. Also, we do a ‘Young Adults’ (which is really whatever age…) group once a week. We’ve just started up for the year, and we’ve decided to commit to memorizing scripture verses every week. I think it’s really great idea. This week, I’m going to memorize Psalm 27:4 – “One thing I ask of the LORD, this is what I seek: that I may dwell in the house of the LORD all the days of my life, to gaze upon the beauty of the LORD and to seek him in his temple.” I find that I don’t linger enough on the thought of heaven, and being close to God, and that I should do so more often. So hopefully, this verse will stick in my mind and help me to remember to think on such things. Now to some foooood. Awhile ago (April, to be exact), I wrote a post about quiche. Well, I’m onto the quiche again. This time, I made a few changes in vegetables, but that’s it. I just had to share it with you, because it looked so pretty. The colours are just… vibrant, and I thought they looked great. So here goes. Preheat your oven to 350F. Line 2 9-inch pie plates with pie dough. 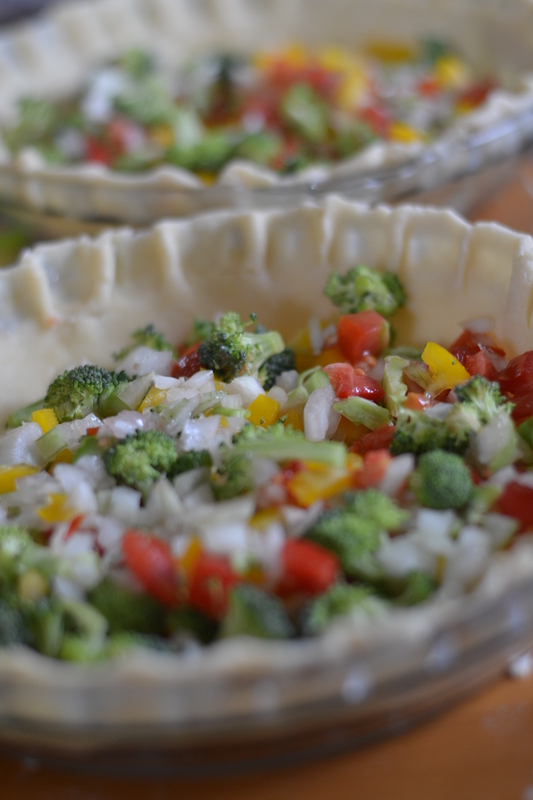 Sprinkle celery, onion, peppers and cheese over pie crust. In a bowl, whisk together eggs, milks, flour, salt, pepper, parsley, chili powder and melted butter. Whisk. Pour over vegetables and cheese in pie plate. 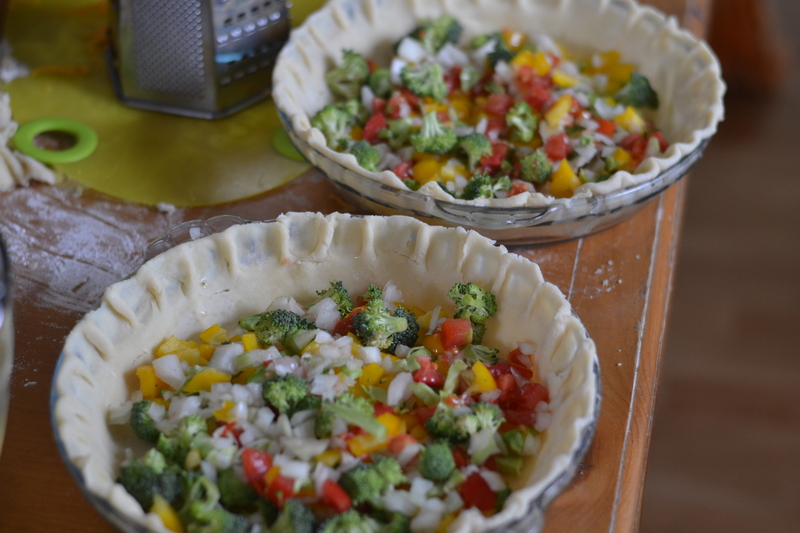 Bake quiche for 30-45 minutes (it really just depends on the oven), or until set. Now, I figure it’s time to get on with the 30 Day Challenge. So here goes. This is a tough one. I’m really not sure what to write. Hmm… I felt really satisfied on my wedding day. I had finally married him, the guy I’d been dreaming of getting married to since elementary school (honestly). Standing beside him, kissing him and just, being joined together with him, with all of our family and friends to see. It was great. I do feel pretty satisfied most days though. When I look and see all the blessings I have. 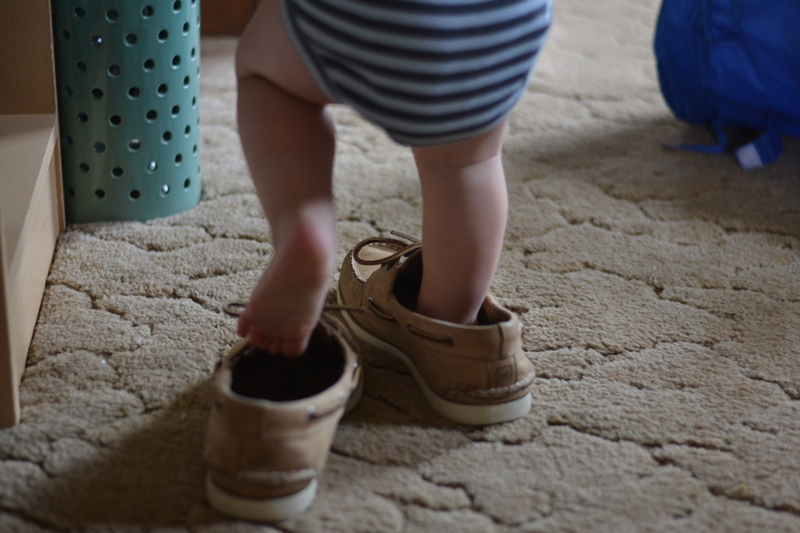 A great hubby, the cutest, funniest little boy, and another baby on the way. Not to mention the family, friends, and material blessings… they abound. It’s great. So why do I complain? I just forget to think about all these things. So many great things.